There is NO such thing as HELL - and it is OK to take the mark of the beast. 1) What we may have great expectation of seeing God do in 2015.
and the U.S. Government and the Federal Reserve System have pledged a total of $7.7 trillion to “ease frozen credit”. Selah means THINK ABOUT IT. Higgaion means THINK SOLEMNLY WITH DOUBLE CONSIDERATION. Expectations – God will allow His people to be TROUBLED in increasing numbers, and more open persecution and hatred of Christians. Real BELIEVERS may be wise to HEAR the Lord if He is saying Come out of her My people, relating to apostate denominations. God’s people will be pressed, and God is going to allow the testing of our faith for the purpose of increasing faith, patience, and meekness. God is going to allow more tribulation for His people to bring them closer to Him, dashing the other things His people have trusted in, and moving them to PRAY, PRAY, PRAY. Many will learn what it means to make the SACRIFICE of PRAISE. The Lord will teach His people by their troubles and trials that they need to trust Him ONLY, and FEAR Him ONLY. Many of His people, who pray, and trust only in Him, will witness His Almighty KEEPING POWER, and see Him deliver them from their enemies. God will save Israel. He that putteth not out his money to usury, nor taketh reward against the innocent. The short Instruction to His People – PRAY. Trust ONLY Him. Fear God. Do NOT fear the fearful circumstances. Make the choice of FAITH to overcome our fears. Obey His command to FEAR NOT. PRAY. Fear the Lord, Cleave to the Lord, Obey the Lord. PRAY. Trust Him. PRAY. Make the Lord your Defense, your help, your glory, and your Encourager. Pray for Others. Pray for the Peace of Jerusalem. PRAY. PRAY. PRAY. My King, and my God: unto thee will I pray. My voice shalt thou hear in the morning, O LORD; in the morning will I direct my prayer unto thee, and will look up. In thy fear will I worship toward thy holy temple. Lead me, O LORD, in thy righteousness because of mine enemies; make thy way straight before my face. Let all those that put their trust in thee rejoice: let them ever shout for joy, because thou defendest them: let them also that love thy name be joyful in thee. For thou, LORD, wilt bless the righteous; with favour wilt thou compass him as with a shield. For thou art not a God that hath pleasure in wickedness: neither shall evil dwell with thee. The foolish shall not stand in thy sight: thou hatest all workers of iniquity. Thou shalt destroy them that speak leasing: the LORD will abhor the bloody and deceitful man. Destroy thou them, O God; let them fall by their own counsels; cast them out in the multitude of their transgressions; for they have rebelled against thee. The wicked in his pride doth persecute the poor: let them be taken in the devices that they have imagined. For the wicked boasteth of his heart's desire, and blesseth the covetous, whom the LORD abhorreth. He hath said in his heart, God hath forgotten: he hideth his face; he will never see it. Arise, O LORD; O God, lift up thine hand: forget not the humble. Wherefore doth the wicked contemn God? he hath said in his heart, Thou wilt not require it. Break thou the arm of the wicked and the evil man: seek out his wickedness till thou find none. The LORD is King for ever and ever: the heathen are perished out of his land. He that walketh uprightly, and worketh righteousness, and speaketh the truth in his heart. He that backbiteth not with his tongue, nor doeth evil to his neighbour, nor taketh up a reproach against his neighbour. In whose eyes a vile person is contemned; but he honoureth them that fear the LORD. He that sweareth to his own hurt, and changeth not. He that putteth not out his money to usury, nor taketh reward against the innocent. He that doeth these things shall never be moved. The LORD hear thee in the day of trouble; the name of the God of Jacob defend thee; Send thee help from the sanctuary, and strengthen thee out of Zion; Remember all thy offerings, and accept thy burnt sacrifice; Selah. Now know I that the LORD saveth his anointed; he will hear him from his holy heaven with the saving strength of his right hand. Some trust in chariots, and some in horses: but we will remember the name of the LORD our God. O my God, I trust in thee: let me not be ashamed, let not mine enemies triumph over me. Yea, let none that wait on thee be ashamed: let them be ashamed which transgress without cause. Show me thy ways, O LORD; teach me thy paths. Lead me in thy truth, and teach me: for thou art the God of my salvation; on thee do I wait all the day. Remember, O LORD, thy tender mercies and thy lovingkindnesses; for they have been ever of old. Remember not the sins of my youth, nor my transgressions: according to thy mercy remember thou me for thy goodness' sake, O LORD. The meek will he guide in judgment: and the meek will he teach his way. All the paths of the LORD are mercy and truth unto such as keep his covenant and his testimonies. For thy name's sake, O LORD, pardon mine iniquity; for it is great. What man is he that feareth the LORD? him shall he teach in the way that he shall choose. The secret of the LORD is with them that fear him; and he will show them his covenant. Turn thee unto me, and have mercy upon me; for I am desolate and afflicted. The troubles of my heart are enlarged: O bring thou me out of my distresses. Look upon mine affliction and my pain; and forgive all my sins. Consider mine enemies; for they are many; and they hate me with cruel hatred. O keep my soul, and deliver me: let me not be ashamed; for I put my trust in thee. Let integrity and uprightness preserve me; for I wait on thee. The Lord hast lifted me up, and hast not made my foes to rejoice over me. O LORD my God, I cried unto thee, and thou hast healed me. O LORD, thou hast brought up my soul from the grave: thou hast kept me alive, that I should not go down to the pit. Sing unto the LORD, O ye saints of his, and give thanks at the remembrance of his holiness. For his anger endureth but a moment; in his favour is life: weeping may endure for a night, but joy cometh in the morning. Plead my cause, O LORD, with them that strive with me: fight against them that fight against me. Take hold of shield and buckler, and stand up for mine help. Draw out also the spear, and stop the way against them that persecute me: say unto my soul, I am thy salvation. Let them be confounded and put to shame that seek after my soul: let them be turned back and brought to confusion that devise my hurt. Let them be as chaff before the wind: and let the angel of the LORD chase them. And my soul shall be joyful in the LORD: it shall rejoice in his salvation. All my bones shall say, LORD, who is like unto thee, which deliverest the poor from him that is too strong for him, yea, the poor and the needy from him that spoileth him? My heart is inditing a good matter: Gird thy sword upon thy thigh, O most mighty, with thy glory and thy majesty. And in thy majesty ride prosperously because of truth and meekness and righteousness; and thy right hand shall teach thee terrible things. Thy throne, O God, is for ever and ever: the sceptre of thy kingdom is a right sceptre. Thou lovest righteousness, and hatest wickedness: therefore God, thy God, hath anointed thee with the oil of gladness above thy fellows. The mighty God, even the LORD, hath spoken, and called the earth from the rising of the sun unto the going down thereof. Out of Zion, the perfection of beauty, God hath shined. Our God shall come, and shall not keep silence: a fire shall devour before him, and it shall be very tempestuous round about him. He shall call to the heavens from above, and to the earth, that he may judge his people. Gather my saints together unto me; those that have made a covenant with me by sacrifice. And the heavens shall declare his righteousness: for God is judge himself. Selah. Hear, O my people, and I will speak; O Israel, and I will testify against thee: I am God, even thy God. Every beast of the forest is mine, and the cattle upon a thousand hills. If I were hungry, I would not tell thee: for the world is mine, and the fulness thereof. Offer unto God thanksgiving; and pay thy vows unto the most High: And call upon me in the day of trouble: I will deliver thee, and thou shalt glorify me. Whoso offereth praise glorifieth me: and to him that ordereth his conversation aright will I show the salvation of God. I mourn in my complaint, and make a noise; Because of the voice of the enemy, because of the oppression of the wicked: for they cast iniquity upon me, and in wrath they hate me. My heart is sore pained within me: and the terrors of death are fallen upon me. Fearfulness and trembling are come upon me, and horror hath overwhelmed me. And I said, Oh that I had wings like a dove! for then would I fly away, and be at rest. Lo, then would I wander far off, and remain in the wilderness. Selah. He hath delivered my soul in peace from the battle that was against me: for there were many with me. That thy beloved may be delivered; save with thy right hand, and hear me. God shall hear, and afflict them, even he that abideth of old. Selah. O God, thou hast cast us off, thou hast scattered us, thou hast been displeased; O turn thyself to us again. Thou hast made the earth to tremble; thou hast broken it: heal the breaches thereof; for it shaketh. Thou hast showed thy people hard things: thou hast made us to drink the wine of astonishment. Thou hast given a banner to them that fear thee, that it may be displayed because of the truth. Selah. Make haste, O God, to deliver me; make haste to help me, O LORD. Let them be ashamed and confounded that seek after my soul: let them be turned backward, and put to confusion, that desire my hurt. Let them be turned back for a reward of their shame that say, Aha, aha. Let all those that seek thee rejoice and be glad in thee: and let such as love thy salvation say continually, Let God be magnified. But I am poor and needy: make haste unto me, O God: thou art my help and my deliverer; O LORD, make no tarrying. Unto thee, O God, do we give thanks, unto thee do we give thanks: for that thy name is near thy wondrous works declare. When I shall receive the congregation I will judge uprightly. The earth and all the inhabitants thereof are dissolved: I bear up the pillars of it. Selah. I said unto the fools, Deal not foolishly: and to the wicked, Lift not up the horn: Lift not up your horn on high: speak not with a stiff neck. For promotion cometh neither from the east, nor from the west, nor from the south. But God is the judge: he putteth down one, and setteth up another. For in the hand of the LORD there is a cup, and the wine is red; it is full of mixture; and he poureth out of the same: but the dregs thereof, all the wicked of the earth shall wring them out, and drink them. But I will declare for ever; I will sing praises to the God of Jacob. All the horns of the wicked also will I cut off; but the horns of the righteous shall be exalted. Oil prices have eased after trading over $100 a barrel for most of 2014. When the GJiGT book was published in 1995, the mocking, scoffing, and scorning was almost universal. By the time all of the 5000 printed hard copies were in the hands of the saints, and I was given in 1999, to say that before the end of the first decade of the new millennium, we would see crude oil prices over $100 per barrel, you can well imagine the laughter, scoffing, mocking, and scorning. It was loud and universal. 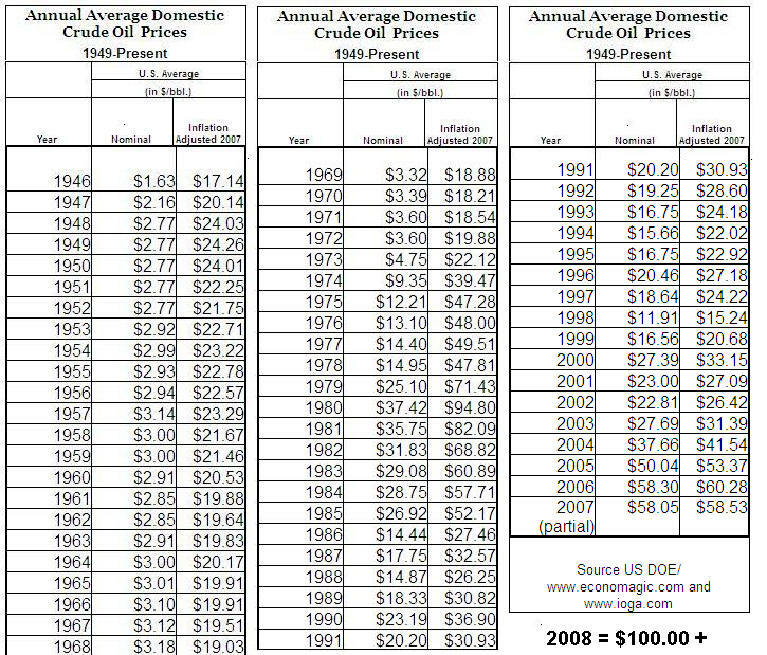 At the end of 2007 when oil had never in history been more the $60/bbl to say it was going over $100/bbl brought scoffing and scorn. To say at the end of 2007, when the DOW was over 11,000, to say that in 2008 the American economy would collapse brought the typical mocking, scoffing and scorn. That noise has been quieted as 2008 turned from future to history. The Baltic Dry Index is one of the purest leading indicators of economic activity. It measures the demand to move raw materials and precursors to production, as well as the supply of ships available to move this cargo. Consumer spending and other economic indicators are backward looking, meaning they examine what has already occurred. The Baltic Dry Index offers a real time glimpse at global raw material and infrastructure demand. 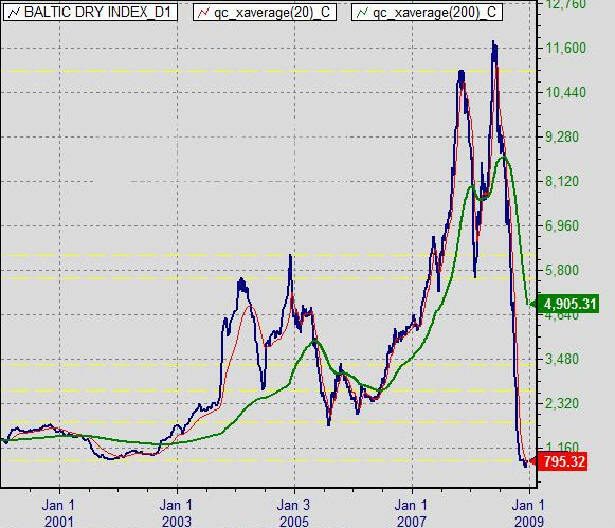 Unlike stock and commodities markets, the Baltic Dry Index is totally devoid of speculative players. The index deals with only relevant parties securing contracts are those who have actual cargo to move and those who have the ships to move it. 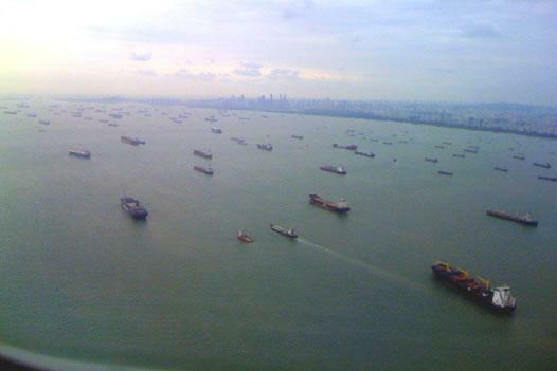 perhaps the largest Ghost Fleet in the World. gave $85 BILLION in bailout money to AIG. AIG will continue to sponsor Man U. In October, 2008, the U.S. government shipped 800 Billion AMEROS to the China development bank. 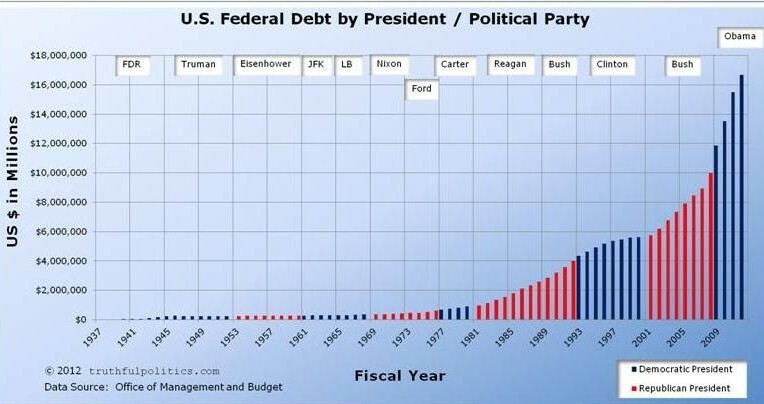 The REASON AN-OBAMA-NATION will have a new currency is how the US plans to get rid of the US national debt. China was holding TRILLIONS, some estimate as many as $2.3 TRILLION U.S. Dollars in cash. 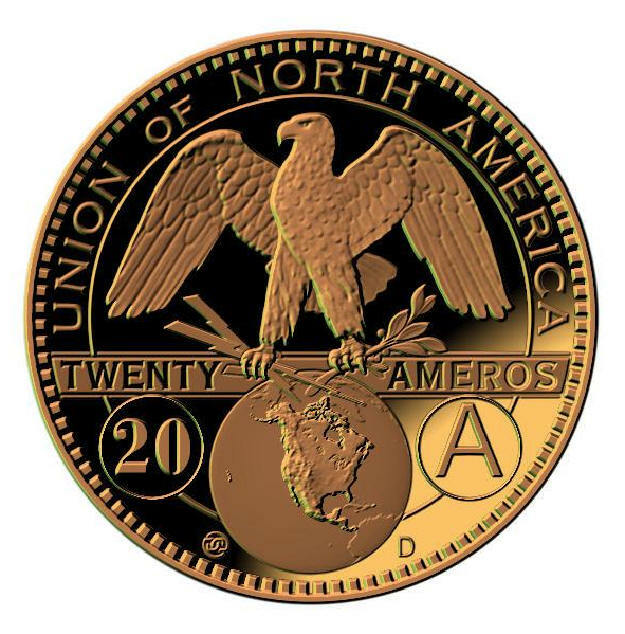 China demanded and got billions of the new AMERO currency in advance of everyone else. 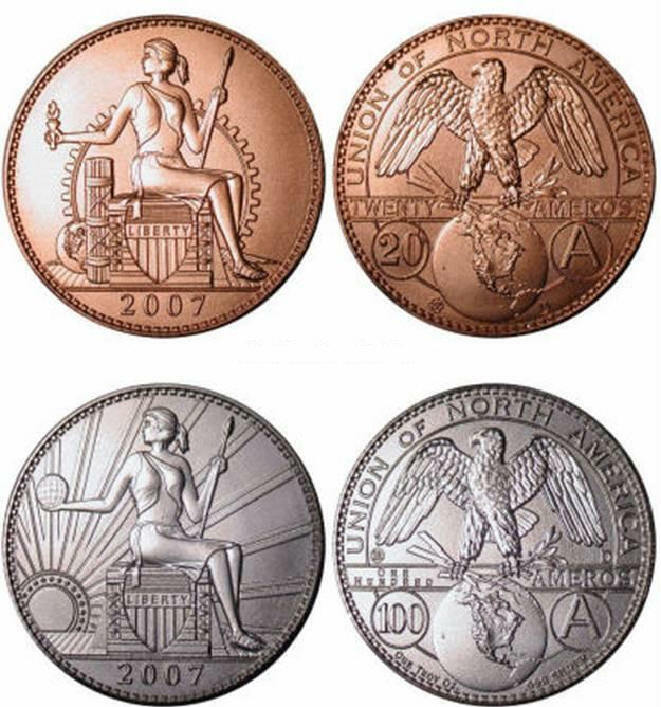 when the U.S. Dollar is de-monetized; declared to be "not money" by the U.S. Treasury. 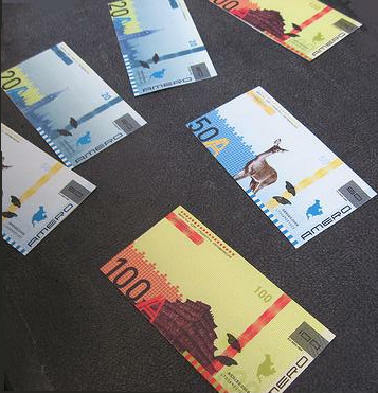 and a new currency imposed. "Old dollars" will be devalued by ninety percent (90%). Certificates of Deposit, and Cash IS STOLEN by Uncle Sam. Instantly 90% of what everyone thought they had is GONE. of just about everything that everyone has. AN-OBAMA-NATION thereby owes 90% LESS and just about all Americans will then be very poor. Warning to the Wicked – This year there are so few warnings to the wicked it may be that the times of the Gentiles are fulfilled and that the door of salvation will be shut as surely as the Lord shut the door on Noah's Ark. Rev 22:11He that is unjust, let him be unjust still: and he which is filthy, let him be filthy still: and he that is righteous, let him be righteous still: and he that is holy, let him be holy still. God has had more then enough of our wickedness and is about to rise up and break our teeth if we persist in our wicked ways, of self-justification, self-idolatry, and mocking and scorning. Stop scattering His faithful remnant. Gather with FAITHFUL people in the small groups, the house churches where God is worshipped in Spirit and in Truth. Be a blessing to Jacob in the time of Jacob’s trouble – OR be CURSED. Join with His faithful remnant by REPENTANCE, forgiveness, and unselfishness. They cried, but there was none to save them: even unto the LORD, but he answered them not. Give them according to their deeds, and according to the wickedness of their endeavours: give them after the work of their hands; render to them their desert. Because they regard not the works of the LORD, nor the operation of his hands, he shall destroy them, and not build them up. To the chief Musician upon Mahalath, Maschil, A Psalm of David. The fool hath said in his heart, There is no God. Corrupt are they, and have done abominable iniquity: there is none that doeth good. God looked down from heaven upon the children of men, to see if there were any that did understand, that did seek God. Every one of them is gone back: they are altogether become filthy; there is none that doeth good, no, not one. Have the workers of iniquity no knowledge? who eat up my people as they eat bread: they have not called upon God. There were they in great fear, where no fear was: for God hath scattered the bones of him that encampeth against thee: thou hast put them to shame, because God hath despised them. Yea, in heart ye work wickedness; ye weigh the violence of your hands in the earth. The wicked are estranged from the womb: they go astray as soon as they be born, speaking lies. Their poison is like the poison of a serpent: they are like the deaf adder that stoppeth her ear; Which will not hearken to the voice of charmers, charming never so wisely. LORD, thou hast been favourable unto thy land: thou hast brought back the captivity of Jacob. Thou hast forgiven the iniquity of thy people, thou hast covered all their sin. Selah. Think about it. Show us thy mercy, O LORD, and grant us thy salvation. I will hear what God the LORD will speak: for he will speak peace unto his people, and to his saints: but let them not turn again to folly. Surely his salvation is nigh them that fear him; that glory may dwell in the land of Israel. Mercy and truth are met together; righteousness and peace have kissed each other. Truth shall spring out of the earth; and righteousness shall look down from heaven. Yea, the LORD shall give that which is good; and our land shall yield her increase. Righteousness shall go before him; and shall set us in the way of his steps. Before the mountains were brought forth, or ever thou hadst formed the earth and the world, even from everlasting to everlasting, thou art God. Thou turnest man to destruction; and sayest, Return, ye children of men. For we are consumed by thine anger, and by thy wrath are we troubled. Thou hast set our iniquities before thee, our secret sins in the light of thy countenance. Who knoweth the power of thine anger? even according to thy fear, so is thy wrath. So teach us to number our days, that we may apply our hearts unto wisdom. O give thanks unto the LORD; call upon his name: make known his deeds among the people. Sing unto him, sing psalms unto him: talk ye of all his wondrous works. Glory ye in his holy name: let the heart of them rejoice that seek the LORD. Seek the LORD, and his strength: seek his face evermore. Remember his marvellous works that he hath done; his wonders, and the judgments of his mouth; O ye seed of Abraham his servant, ye children of Jacob his chosen. He is the LORD our God: his judgments are in all the earth. He hath remembered his covenant for ever, the word which he commanded to a thousand generations. Which covenant he made with Abraham, and his oath unto Isaac; And confirmed the same unto Jacob for a law, and to Israel for an everlasting covenant: For he remembered his holy promise, and Abraham his servant. And he brought forth his people with joy, and his chosen with gladness: And gave them the lands of the heathen: and they inherited the labour of the people; That they might observe his statutes, and keep his laws. Praise ye the LORD. The Lord at thy right hand shall strike through kings in the day of his wrath. He shall judge among the heathen, he shall fill the places with the dead bodies; he shall wound the heads over many countries. He shall drink of the brook in the way: therefore shall he lift up the head. Not unto us, O LORD, not unto us, but unto thy name give glory, for thy mercy, and for thy truth's sake. Wherefore should the heathen say, Where is now their God? But our God is in the heavens: he hath done whatsoever he hath pleased. O Israel, trust thou in the LORD: he is their help and their shield. O house of Aaron, trust in the LORD: he is their help and their shield. Ye that fear the LORD, trust in the LORD: he is their help and their shield. Psa 115:12 The LORD hath been mindful of us: he will bless us; he will bless the house of Israel; he will bless the house of Aaron. He will bless them that fear the LORD, both small and great. In my distress I cried unto the LORD, and he heard me. Deliver my soul, O LORD, from lying lips, and from a deceitful tongue. What shall be given unto thee? or what shall be done unto thee, thou false tongue? Sharp arrows of the mighty, with coals of juniper. Woe is me, that I sojourn in Mesech, that I dwell in the tents of Kedar! My soul hath long dwelt with him that hateth peace. I am for peace: but when I speak, they are for war. They that trust in the LORD shall be as mount Zion, which cannot be removed, but abideth for ever. As the mountains are round about Jerusalem, so the LORD is round about his people from henceforth even for ever. For the rod of the wicked shall not rest upon the lot of the righteous; lest the righteous put forth their hands unto iniquity. Do good, O LORD, unto those that be good, and to them that are upright in their hearts. If thou, LORD, shouldest mark iniquities, O Lord, who shall stand? But there is forgiveness with thee, that thou mayest be feared. I wait for the LORD, my soul doth wait, and in his word do I hope. My soul waiteth for the Lord more than they that watch for the morning: I say, more than they that watch for the morning. Let Israel hope in the LORD: for with the LORD there is mercy, and with him is plenteous redemption. And he shall redeem Israel from all his iniquities. Praise ye the LORD. Praise ye the name of the LORD; praise him, O ye servants of the LORD. Praise the LORD; for the LORD is good: sing praises unto his name; for it is pleasant. For I know that the LORD is great, and that our Lord is above all gods. Whatsoever the LORD pleased, that did he in heaven, and in earth, in the seas, and all deep places. Thy name, O LORD, endureth for ever; and thy memorial, O LORD, throughout all generations. For the LORD will judge his people, and he will repent himself concerning his servants. Blessed be the LORD out of Zion, which dwelleth at Jerusalem. Praise ye the LORD. Which imagine mischiefs in their heart; continually are they gathered together for war. They have sharpened their tongues like a serpent; adders' poison is under their lips. Selah. Think about it. Keep me, O LORD, from the hands of the wicked; preserve me from the violent man; who have purposed to overthrow my goings. The proud have hid a snare for me, and cords; they have spread a net by the wayside; they have set gins for me. Selah. As for the head of those that compass me about, let the mischief of their own lips cover them. Let burning coals fall upon them: let them be cast into the fire; into deep pits, that they rise not up again. Let not an evil speaker be established in the earth: evil shall hunt the violent man to overthrow him. I know that the LORD will maintain the cause of the afflicted, and the right of the poor. Surely the righteous shall give thanks unto thy name: the upright shall dwell in thy presence. Thy kingdom is an everlasting kingdom, and thy dominion endureth throughout all generations. The LORD upholdeth all that fall, and raiseth up all those that be bowed down. The eyes of all wait upon thee; and thou givest them their meat in due season. Thou openest thine hand, and satisfiest the desire of every living thing. The LORD is righteous in all his ways, and holy in all his works. The LORD is nigh unto all them that call upon him, to all that call upon him in truth. He will fulfil the desire of them that fear him: he also will hear their cry, and will save them. The LORD preserveth all them that love him: but all the wicked will he destroy. My mouth shall speak the praise of the LORD: and let all flesh bless his holy name for ever and ever. Let every thing that hath breath praise the LORD. Praise ye the LORD. First, we should know that persecution of real Christians will greatly increased in 2014, and like travail will increase in BOTH Frequency & Intensity in 2015. There have been 300,000 Christians slaughtered since Obama in 2011, in what was called the "Arab Spring" begain funding, equipping, and training the Muslim Brotherhood, AlQuada, and ISIS or ISIL of IS in Syria, Iraq, Ejypt, and Lybia. Many BELIEVERS will find it necessary to come out of the visible 501c3 state churches. It will become more obvious that more so-called protestant denominations have become apostate beyond any possibility of revival. The larger denominations of so-called Christians will be seen to more fully come under the Vatican Pope’s global religion of TOLERANCE. In the Pope’s world of religion leadership all will be tolerated, EXCEPT one peculiar group of people labled "Not Authentically Human", people of The Book, REAL Believers in the Lord Jesus Christ. The Pope will lead the so-called Christian world in rolling out the red carpet of ecumenical acceptance and tolerance to Muslims, Cult Religions, Spiritualists, Wiccas, Animists, Voodoos, and Satanists. Only REAL Christians and Jews, (not authentically human people), people of the book, as the Satanic Koran calls us, who dare say our God is different and/or superior to all of the other gods. Not to be tolerated are the not authentically human people who say the Only True God can only be approached or known through THE Lord Jesus Christ. The Pope's global religion of tolerance will NOT tolerate Jews and real Christians who identify with them even observing The Lord's SabbathS, and His feasts and not the feasts of the pope, the world, the flesh, and the devil. The Pope’s global religion will NOT tolerate those not authentically human people. I hope you will get the idea of how this New Year’s spiritual exercise is done, and we will try to go through it this coming Sabbath. PRAY, PRAY, PRAY without ceasing. In Mat 24:29-31 The Lord, Yeshua says, IMMEDIATELY AFTER THE TRIBULATION OF THOSE DAYS, shall the sun be darkened, and the moon shall not give her light, and the stars shall fall from heaven, and the powers of the heavens shall be shaken: And then shall appear the sign of the Son of man in heaven: And then shall all the tribes of the earth mourn, and they shall see the Son of man coming in the clouds of heaven with power and great glory. And he shall send his angels with a great sound of a trumpet, and they shall gather together his elect from the four winds, from one end of heaven to the other. The Resurrection, the Return, and the RAPTURE is when Jesus said - Immediately AFTER the TRIBULATION. Between now and then we must ENDURE this 42 month antichrist war on the SAINTS. In speaking of the rapture, Paul says, in 1 Cor 15:51-52, Behold, I show you a mystery; We shall not all sleep, but we shall all be changed, In a moment, in the twinkling of an eye, at the LAST trump: for the trumpet shall sound, and the dead shall be raised incorruptible, and we shall be changed. We must endure to the end, because Jesus tells us the rapture is IMMEDIATELY AFTER THE TRIBULATION OF THOSE DAYS. Paul tells us it will be at the LAST trump. So what may we expect in 2015??? The year 2015 will prove to be a time of great tribulation for the saints scattered abroad throughout the whole world. It is now upon us: Rev 13:7 And it was given unto him to make war with the saints, and to overcome them: and power was given him over all kindreds, and tongues, and nations. It looks like the awesome destruction of nuclear war comes to the world in 2015. Praise God for His mercy in continuing to "let" or restrain Lucifer. With 9-11 WTC, Bush's Reichstag, and the antichirst anti-terrorist, laws being passed not only in America, but at the same time in Canada, and the other 15 used-to-be-free nations of Europe, Australia and New Zealand, mark it down, the agenda is antichrist War on the Saints. WHEN GOD'S LIMITATIONS OF LUCIFER IS LIFTED, THE WORLD WILL SEE LUCIFER'S ANTICHRIST WAR OF KILLING AND DESTROYING. IT IS NOW AT THE DOOR. IT IS SET UP TO BE BLAMED ON THE JEWS. THE ANTICHRIST, BY PEACE, SHALL DESTROY MANY, Dan 8:25. THAT IS WHAT IS BEHIND THE 7 YEAR OSLO, AKA ROAD MAP, AKA GENEVA INITIATIVE, TO LIQUIDATE THE NATION OF ISRAEL. IT SHALL NOT STAND. THE LORD SHALL AGAIN CHOOSE JERUSALEM. Zec 1:17 Cry yet, saying, Thus saith the LORD of hosts; My cities through prosperity shall yet be spread abroad; and the LORD shall yet comfort Zion, and shall yet choose Jerusalem. Zec 2:12-13 And the LORD shall inherit Judah his portion in the holy land, and shall choose Jerusalem again. Be silent, O all flesh, before the LORD: for he is raised up out of his holy habitation. Isa 40:2 Speak ye comfortably to Jerusalem, and cry unto her, that her warfare is accomplished, that her iniquity is pardoned: for she hath received of the Lord's hand double for all her sins. WE ARE IN THE ANTICHRIST WAR ON THE SAINTS. Alleluia! The value of any warning of coming judgment is BEFORE the event. We always rejoice in seeing the mercy of God restraining what appears now to be the breaking forth of Lucifer's great killing and destruction, known as the antichrist war on the saints, or the great tribulation. One last thing - If we did NOT need help would you ever have seen something like this?